This primarily generative workshop will use selected poems by this year’s festival faculty and special guest poet as inspiration, models, and guides for our own writing. What we have at hand (in person!) during the festival week is already inspiring. This workshop will go further. We will look closely at each poem to divine craft elements such as structure and strategy, diction and rhythm, sound and pattern, subject and style. Bring a notepad, journal or laptop and be prepared to come away with some freshly minted drafts. In addition, please send to me, in advance, two of your existing poems, still in need of work, for discussion in class as time permits. Bring 17 copies of each to the workshop. 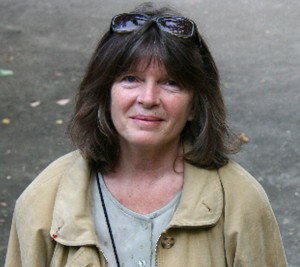 DORIANNE LAUX is the author of five poetry collections, most recently, The Book of Men, (2012) winner of the Paterson Poetry Prize, and Facts about the Moon, winner of the Oregon Book Award. She is the co-author of The Poet’s Companion: A Guide to the Pleasures of Writing Poetry. Among Laux’s awards are two Best American Poetry Prizes, a Pushcart Prize, two fellowships from The National Endowment for the Arts, and a Guggenheim Fellowship among others. Laux’s poems have been translated into French, Spanish, Italian, Korean, Romanian, Dutch, Afrikaans, and Brazilian Portuguese. Widely anthologized in America, her work has appeared in the Best of APR, The Norton Anthology of Contemporary Poetry. Laux lives in Raleigh, where she directs the Program in Creative Writing at North Carolina State University. She is a founding faculty member at Pacific University’s Low Residency MFA Program.